This dress represents the beautiful image of the dream of migration, and the ways in which this dream is stitched together with pain, hope, joy and struggle. This piece is particularly based on the experiences of migrant women who must often make sacrifices in order to realize this dream. 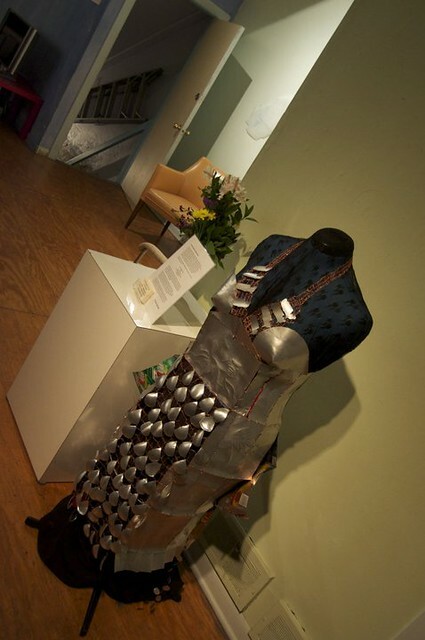 The dress is made of recycled materials because I wanted it to endure. I picked up the cans throughout Chicago with the help of my co-workers and the friends of my daughter. The yarn is made of old electrical cords of equipment that was no longer functional.